To get started, contact your Grainger rep or call (855) 537-2338. Take advantage of Grainger’s Facility Services to help protect the investment in your physical assets. Working with proven third-party providers, we offer solutions to help prolong the life of your buildings and support your safety initiatives. Choose from electrical, indoor coating and roofing services. Plus, we offer fire and smoke barrier protection services to help you address fire hazards and comply with related codes. Click on the tabs below to learn more about each service. 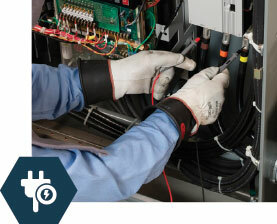 Electrical Services: Service partners provide an electrical system study to help determine the present degree of arc flash hazards and apply associated equipment labeling. Services include maintenance of electrical distribution system components and mitigation solutions aimed to lower arc flash energy or exposure. 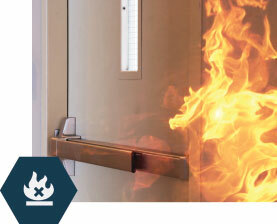 Fire & Smoke Barrier / Door / Damper Services: Inspection, reporting and turnkey repair capabilities to assist with NFPA compliance of fire and smoke barriers, doors and dampers, and firestopping. 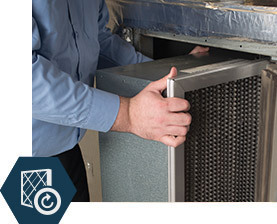 HVAC Filter Change-Out & Preventative Maintenance Service: These service partners provide a periodic on-site filter change-out service. This nationwide service helps increase energy efficiency and extends the life of your equipment. Purchase filters, belts and labor all from one source. Roofing services: Partnership with third-party service provider to make available roofing and building maintenance solutions designed to prolong structural life; easily track and manage roof assets; save energy; and improve safety. FOR MORE INFORMATION Contact your Grainger rep today!